Simply insert an original disc in the top tray and this device will create 3 duplicate! The ACARD DVD Copier is designed for the users who are looking a way of making instant copies of original DVD data, more efficient and much simple solutions, such as personal, SOHO and office users. It provides a flawless function in duplicating any format of media with excellent accuracy. With its professional mechanism design and multi-function LCD panel, ACARD DVD Copier is easy for any end-user to operate. It is a perfect cost-effective DVD duplicator for audio, data, and video applications. Usually to back up a lot of CD/DVDs, you have to boot a computer, and execute the job via burning software and of course you have to spend time learning how to operate and repeating every step, too. In view of this, Acard produced these standalone duplication systems to meet the demand. They are easy to operate, and can back up many discs at one time. This device does not need a computer - it just uses its own LCD display so just switch on and burn! This unit comes ready for immediate use. 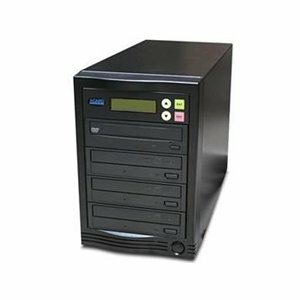 This duplicator includes a 1-3 Acard Controller and 4x Sony/NEC SATA DVD Writers. 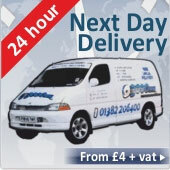 This product is usually stocked in our warehouse and is available for next day delivery, however sometimes there is a 2 - 3 day wait while the unit is built and tested before dispatch.